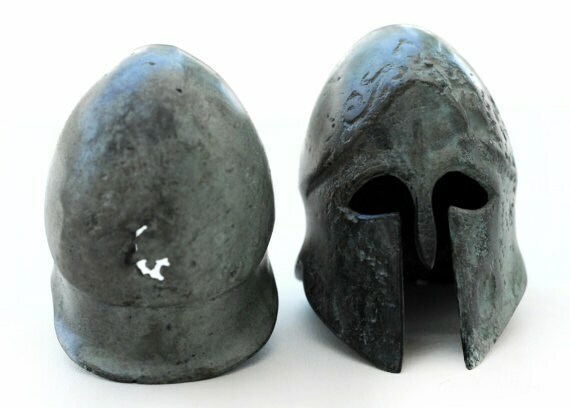 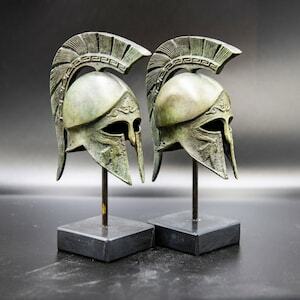 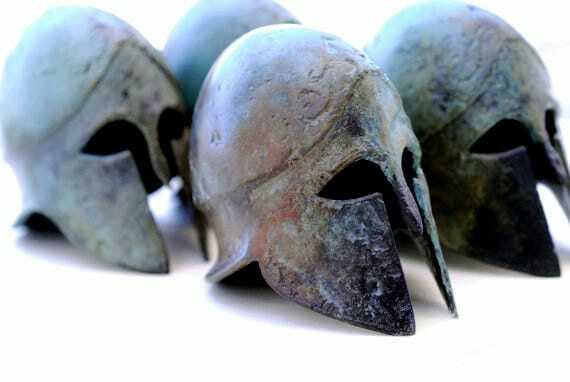 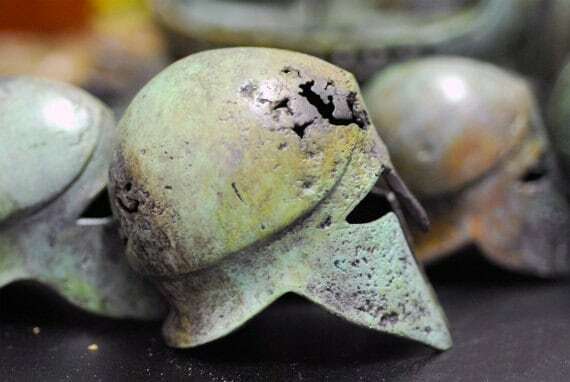 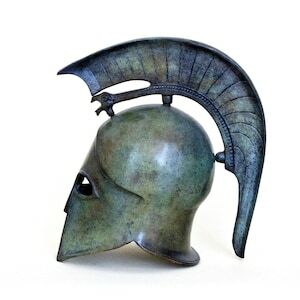 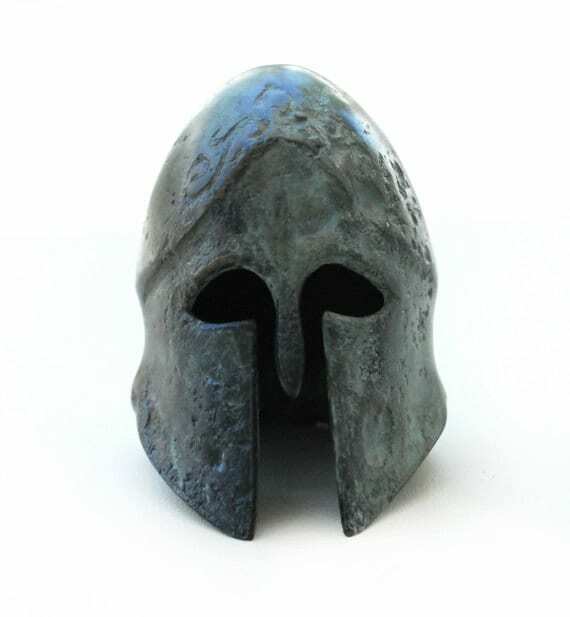 Greek Bronze Helmet, Ancient War Helmet, Bronze Metal Sculpture, Collectible Timeless Art Museum Quality Replica Art Sculpture, Historic Art. 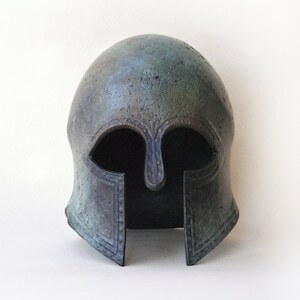 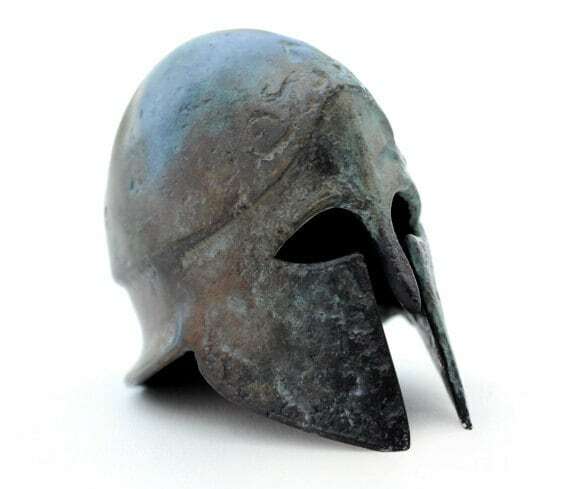 The Corinthian type of helmet appeared at the end of the 8th c. BC. 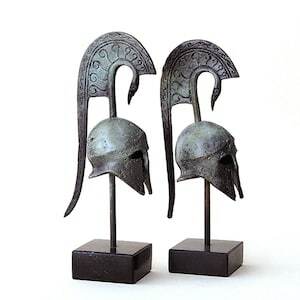 and remain in use until the Classical period.